It's dreary right now in Hutchinson, Kansas - the kind of cold dampness that portends the shortening of days. 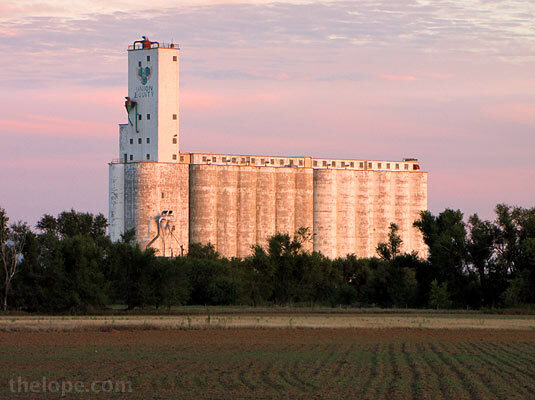 But Tuesday night it was quite different as a crisp Autumn sunset bathed a grain elevator in Reno county. 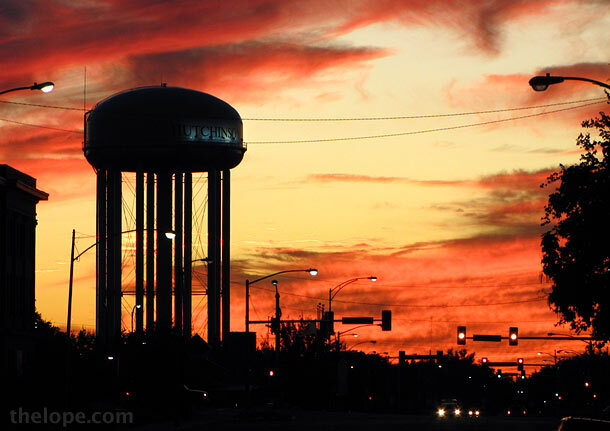 Searching for a foreground, I could make it only to our water tower before the flaming sky turned to rust and then to black.